The influx of black bears in Sudbury has some wondering who is responsible for dealing with the animals. A biologist with the Ontario Federation of Anglers and Hunters says consistent cuts to the ministry have left conservation officers poorly equipped to deal with the problem. “It seems like there are fewer and fewer dedicated field staff that are responsible for things like trapping and transferring of bears or dealing with any sort of educational components,” Mark Ryckman said. The union representing conservation officers agrees that ongoing job cuts mean the ministry can’t be of much help. “This has been going on for a few years now,” said Jeff Arbus, northeastern Ontario OPSEU spokesperson. But some police services, like the one in Sudbury, say bears are not really supposed to be one of their main policing duties. Sudbury police Sergeant Randy Hosken said police will only respond if the bear poses a threat to safety. “If they phone us and we tell them to phone the ministry, it’s probably because it doesn’t meet one of the thresholds of what is a threat to personal safety,” he said. Hosken said in cases that are not an emergency, people don’t really need to call anyone. Educating residents about who and when to call about roaming bears is something all parties agree with. The ministry’s Bearwise program provides information about dealing with nuisance bears, but confusion still exists. So whose responsibility is it to educate the public? 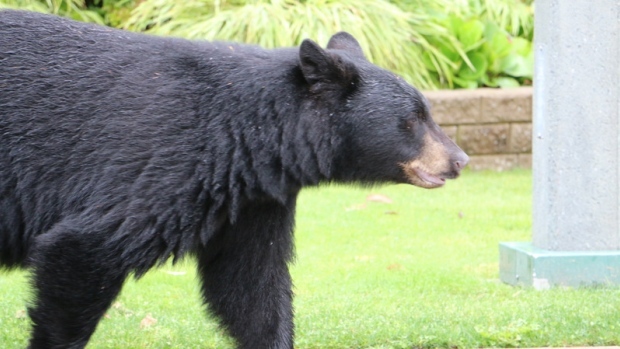 Sudbury police report they’ll meet with the ministry today, as they continue to deal with an inordinate number of calls about black bears in the city. Arbus said the ministry needs to let the public know what to do. “If their policy is to cut staff, and to cut the services that those staff provided, then I think it’s the ministry who should be telling the public what they should expect and how to get whatever services remain,” he said. Last week in Sudbury someone took matters into their own hands and shot and killed a bear in a city neighbourhood. Full bear hunt the answer? 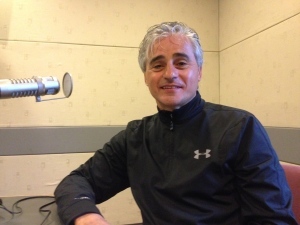 The Minister of Natural Resources and Forestry Bill Mauro said his ministry has been clear about what to expect. “Municipalities are responsible for managing animal populations among [sic] their municipal boundary,” he said. Meanwhile, calls for a full reinstatement of the spring bear hunt continue. Ryckman said the MNRF could use the bear hunt to help control black bear populations. Small sections of northern Ontario are currently part of a two-year spring bear hunt trial. Mauro said the data collected from the trial will be looked at, but no decisions have been made — although he noted there are more bears in the province now since the cancellation of the spring bear hunt.